Might want to work on your technique there, Sweetie. You’d think after two and a half years on this earth that Zoe would be able to figure out a way to carry her toys. 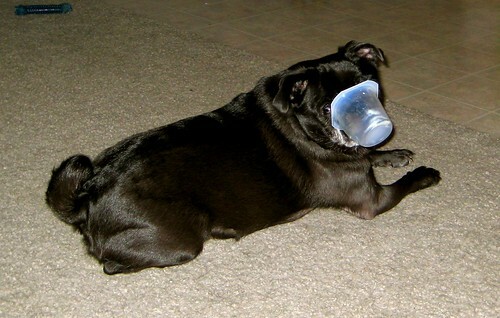 She LOVES empty cups (this is a pudding cup). But she carries them in such a way that her eyes are covered. She runs into things when she carries them around. Kills me. So fun to watch!